Remembering Teresa Bayer Winckel | Remembering Teresa Bayer Winckel | De Soto Obituary Search | Dietrich-Mothershead Funeral Home, Inc. Remembering Teresa Bayer Winckel | De Soto Obituary Search | Dietrich-Mothershead Funeral Home, Inc.
Teresa Winckel was born on September 17, 1935 in De Soto, MO. She was the daughter of the late Raymond & Olive (nee Hurst) Bayer. 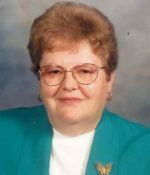 She died on May 25, 2018 at Baisch Nursing Facility in De Soto, MO at the age of 82. On May 7, 1955 in St. Louis, MO, Teresa married August C. “Gus” Winckel, he survives in De Soto, MO; she is also survived by her sons, Gary (Carolyn Fox) Valdosta, GA and Jeff Winckel of De Soto, MO; one sister, Mary Schlemeier of Ballwin, MO; 6 grandchildren and 4 great grandchildren. She was preceded in death by her daughter, Tina Tissot who passed away just on April 30, 2018; and a sister, Doris. 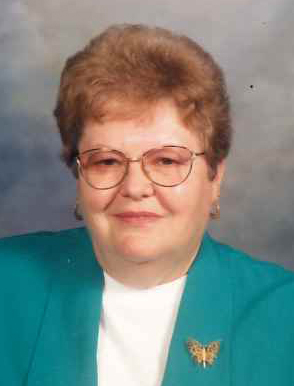 Teresa was a member of St. Rose of Lima Catholic Church; and also belonged to, Joachim Social Club, Columbia Anns, Pinochle Card Club, and the Eagles. Father Alexander Anderson will officiate a combined memorial service for Teresa and her daughter Tina Tissot on Saturday, June 9 at the Dietrich-Mothershead Funeral Home.